I was reading this article the other day. David Bach presents five signs that may be telling you it is time to move on from your current role or job. I would like to think through this in a little more detail. It is not surprising to me that nearly half of the people in this nation do not enjoy their jobs. It is also not surprising to me that nearly every person on this planet wishes to accomplish something great with their life. They want to make a difference to somebody, somewhere. It is a feeling, an urge from the deepest part of the soul, that we have been put on earth to do something with our lives. This urge is unique to the human race. When was the last time you saw your cat pulling out his surveying equipment to build a bridge across a river so that neighboring cities can visit and conduct commerce more easily? When was the last time you saw a cow pull out his saw and build a house for his fellow cow? 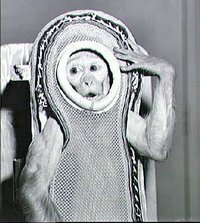 It has been awhile since we saw a monkey go to outer space to find out where we came from. I can tell you that this monkey DID NOT WANT TO GO! Anyway, we humans have an inner desire to accomplish something. Something that is beyond ourselves. Something that we cannot deny without serious frustration, sadness, anger, or other strong emotion. So why do we allow ourselves to work the vast majority of our lives doing something that is not what we were put on this earth to do? 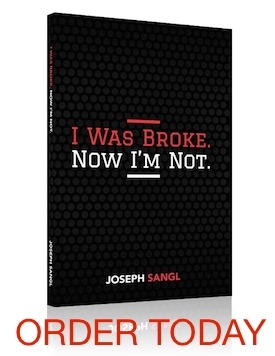 I put forth this simple reason – It is because we are broke. According to a Bankrate.com nationwide poll, less than 4 in 10 American adults have an emergency fund to fall back on in the event of a financial disaster. Here is something I am discovering. Many of the jobs that focus on helping people have a better life do not pay enormous wages. These jobs are sponsored by charitable organizations who want to pour as much of their financial resources into the actual helping of people. They do not generate substantial amounts of revenue so they simply cannot compete with the corporate paychecks. They do offer, however, a tremendous opportunity to make a huge difference for our fellow man. If you had six month’s worth of expenses saved up and had NO payments, would you continue to do what you are currently doing? If you had six month’s worth of expenses saved up and had only a house payment, but no other payments – no car payment, no student loan payment, no furniture payment, no boat payment … no payments other than your house, would you continue to do what you are currently doing? What is that THING that you really want to accomplish with your life? What is that THING that just lights up a passion in you that you just cannot shut up about it? That makes you feel most alive! That makes you KNOW that you are making a difference? Get debt-free and GO DO IT!